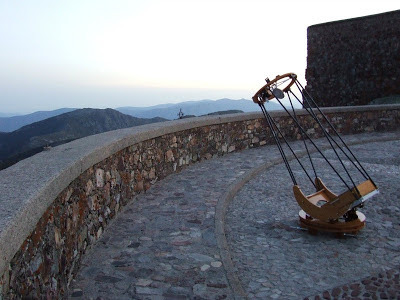 THE DOBSON FACTORY creates high-end innovative dobsonian telescopes for passionate and highly demanding amateurs. Each is custom built, individually designed and handmade in our workshop in South Burgundy, France. The attention to details and craftsmanship make each telescope truly "art in action". Those instruments are a sign that craftsmanship is still alive and well in these times of mass produced objets. Our dobsonian telescopes include the most innovative developments in telescope making for amateurs during the last 10 years. They are truly stiff, robust, with extremely fluid and smooth motion. They are compact in size, lightweight, easy for transportation, easy to set-up, will offer great ergonomy and the one of the highest optical quality. The association of high grade plywood, carbon, and aluminium allows no compromise. 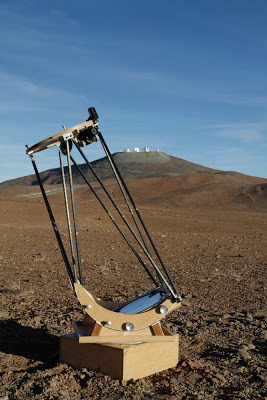 We also believe that a telescope has to be beautiful. When function meets with design and elegance, we are happy. Each instrument is unique. They are made one by one, on demand, according to the specifications of our clients. We can make ultralight telescopes, using carbon or wood composites, double ring upper cages, specific coating, special shapes and design or size. Tell us what you have in mind, and we will make our best to do it. THE DOBSON FACTORY offers a full range of dobsonian instruments, from the 12" ultralight Travel Scope, up to 30" or even larger ultimate sizes. Our dobsonian telescopes can be equipped with driving and goto system (Servocat and Argo navis systems) or they can be used easily on an equatorial platform. Each instrument is fully tested under the stars, in all its aspects before being delivered to our client. Stability, stiffness, motion, optics alignment, balance, everything is checked. The Devil in the details! You can choose the optics, according to your needs in terms of quality and your budget. We can help you to make a choice: We usually suggest high-end optics made on demand by Franck Grière, from Mirrosphère in France, certainly the best mirror maker in Europe. You can also install optics made by John Nichol in the UK, Alluna in Germany, John Lightholder or Mike Lockwood in the US or any local maker you would prefer. Obviously, if you have already the optics, we can make the structure accordingly. As far as now, more than 100 amateurs in the world have trusted THE DOBSON FACTORY and use or ordered an instrument. There are already DOBSON FACTORY telescopes in France, Germany, Belgium, Swiss, Spain, Chile, Japan, and several orders from the USA. French, English, German, Japanese spoken. Do not hesitate to contact us for any enquiry, request for a quote or order and if you come to France, please visit the Factory!